The 1173 is the result of a design collaboration among Los Angeles-based producer Warren Huart and gear designer Michael Stucker, produced and manufactured by UK Sound. The new product brings together the combined synergies of two timeless circuits: the 1073 preamp and studio FET compressor — at an affordable price. The marriage of these two classic pieces of analog gear opens up an entirely new sonic palette in the studio, either as a standalone piece in a project studio, or as a unique addition to a heavily fortified rack of outboard gear. The 1173 owes its unique character to the combined analogue mojo of its 1073 preamp and FET compressor circuit. 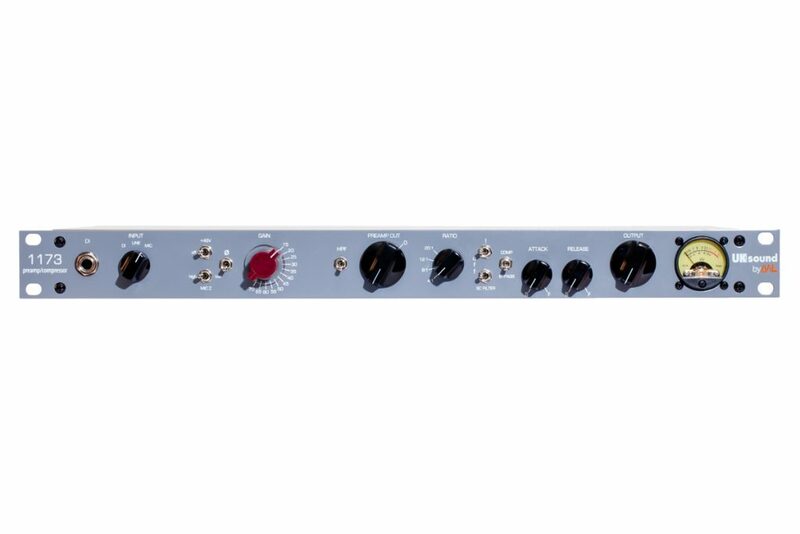 It features the recognizable FET compressor controls for input and output gain and the time-honored compression ratio options of 4:1, 8:1, 12:1, and 20:1. Attack and release controls allow users to tailor the compressor’s action to best suit a given source. While the 1073 preamp helps bring depth and clarity to your audio on the front end, the FET compressor kicks in to manage peaks, adding control and thickness to the signal. Drums, bass, vocals, and synths are among the many sound sources that will truly sing with the 1173. 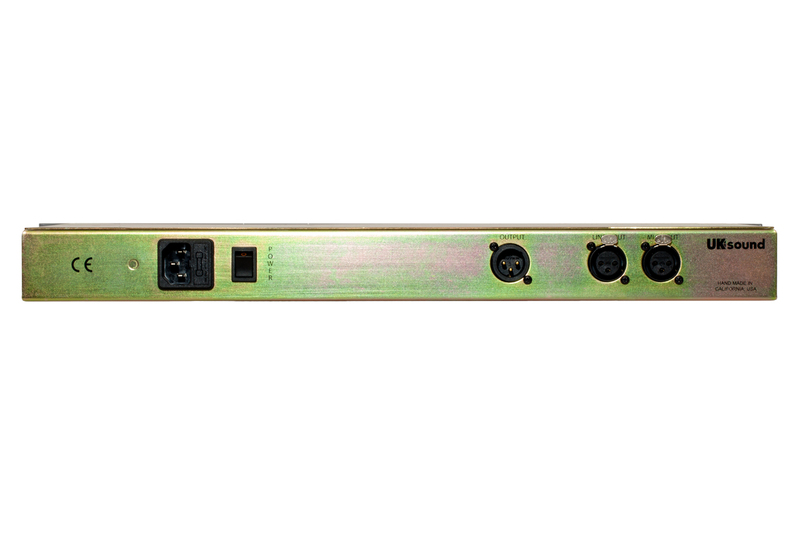 With the 1173, UK Sound has brought some of the industry’s best minds together to design hardware that brings together some of history’s best circuits. The initial concept of the 1173 was born out of Huart’s desire to share his favorite recording chain with members of the ever-growing Produce Like a Pro online community he founded. He reached out to Michael Stucker to help turn that dream into a carefully designed piece of analog gear that captured the best of both circuits. With a design in place, they connected with Loughman, who was in the midst of launching his new UK Sound subsidiary. Loughman and UK Sound provided the expertise required to move the design into production in a way that maintained a high level of quality. As with BAE Audio, all UK Sound products are built in California with carefully chosen components. BAE Audio’s longstanding tradition of building vintage circuits makes Loughman and his team uniquely qualified to bring UK Sound to life as a company that applies that expertise in new and unique ways.